Appliances @ Go Green Directory energy efficient, eco friendly and low energy led lighting. 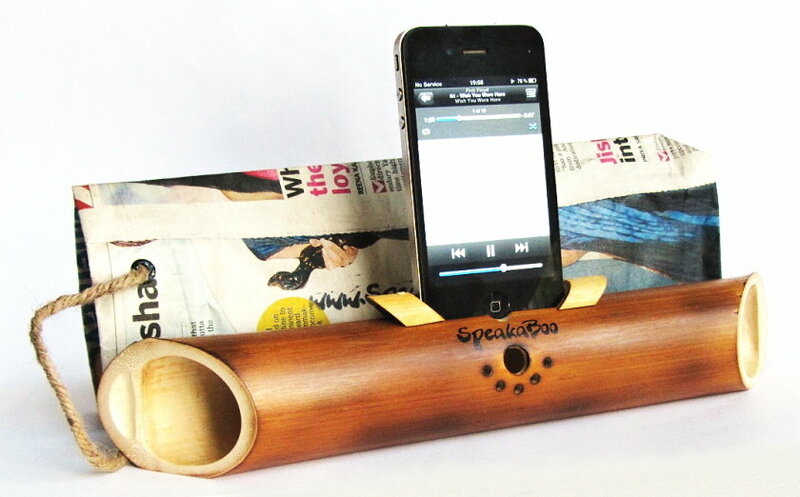 Made for iphone 4/4s SpeakaBoo amplifies and improves the audio quality coming out of an iPhone speaker in an eco-friendly way, using no materials other than bamboo. Hand crafted in the UK and made from vending machine coffee cups direct from the national Save-A-Cup scheme. Crisp, clean, easy to read designs that suit the majority of home interiors. Approximately 25 coffee cups saved from landfill for each wall clock produced. 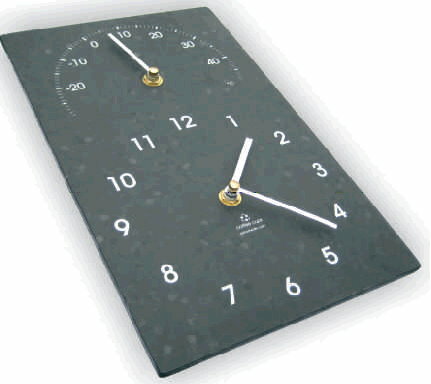 Wall Clocks available with numbers or roman numerals, thermometer and tide prediction designs. Save money in the kitchen and around the home. These intelligent energy saving electrical gadgets and appliances can help you to save money and save energy, helping to reduce your carbon footprint, cut your energy bills and help you to live a more energy efficient life. Eco Kettle shows that practical, eco design doesn�t have to be boring. At 3,000 watts this energy saving kettle boils water fast, and thanks to its unique element design it is more effective and efficient than most. 12V LED lights provide low-cost, energy saving lighting solution for homes, offices, motorhomes, caravans and boats. LED lights are becoming the most popular energy-saving solutions in households as their prices are dropping continuously, mainly due the fast pace of development in the industry. Their two basic forms: LEDs running at the mains and low voltage LEDs are both popular on the market, mainly due to the wide applicability in households. Since nowadays LEDs have a much brighter output and due to their improving design a longer operational time, their application is spreading within the industrial and commercial sectors too. Eco Friendly products and Energy saving gadgets. So what gives us the right to call ourselves Protect the Planet? All our products are either made in the UK, made of FSC wood, recycle/reduce/reuse, energy saving, ethically made, organic, protect our wildlife or sustainable. All our packaging, apart from the sticky tape, is either recycled, recycable or biodegradable. The site is run by a team who care for the environment too � no we're not tree huggers, we're real people trying to make a difference. We provide you with quirky yet simple products which will fit into your everyday lifestyle. We are a family run cookware and lighting shop. The business was established in 1919. Our extensive lighting selection offers thousands of light fittings, the majority of which we recommend for use with low-energy bulbs. As a lighting retailer, our advice could potentially reduce the carbon footprint of thousands of homes. Our wide range of high quality, low-energy, long-life bulbs provide a "warm white" light. They have around a 12-15000 hour life and 600000 switching cycles per bulb. LED replacements for household and retail lighting that use less energy and save you money. At our site you will find all types of LED light bulbs that will allow you to replace your existing light bulbs with energy-efficient LED bulbs without having to change your current fixtures. Our site tells you exactly how you can start saving money now and all our bulbs are reasonably priced. Each product page gives a breakdown of how much money you can expect to save in comparison to regular halogen or incandescent bulbs. All our bulbs come with a 3-year warranty and have an average life of about 20 years. LEDNeonFlex.com - The only enviromentaly friendly alternative for Neon. LED Flex Lighting Co. is one of North Americas leading suppliers of neon alternatives that are eco-friendly and promote sustainability. LED Neon Flex is 80% more energy efficient, ROHS Compliant, UL - cUL Approved and last 50,000 � 100,000 hours depending on color and application. Energy ratings labels on appliances are generally given to products based on size categories. The idea is to enable you to compare between two similarly sized products. This means two differently sized appliances with the same energy rating may use quite different amounts of electricity. For instance an A rated 180-litre fridge freezer could cost only �39 a year to run whereas a larger 525-litre fridge freezer with a better A+ rating would cost �54 a year to run. That�s �13 a year more.